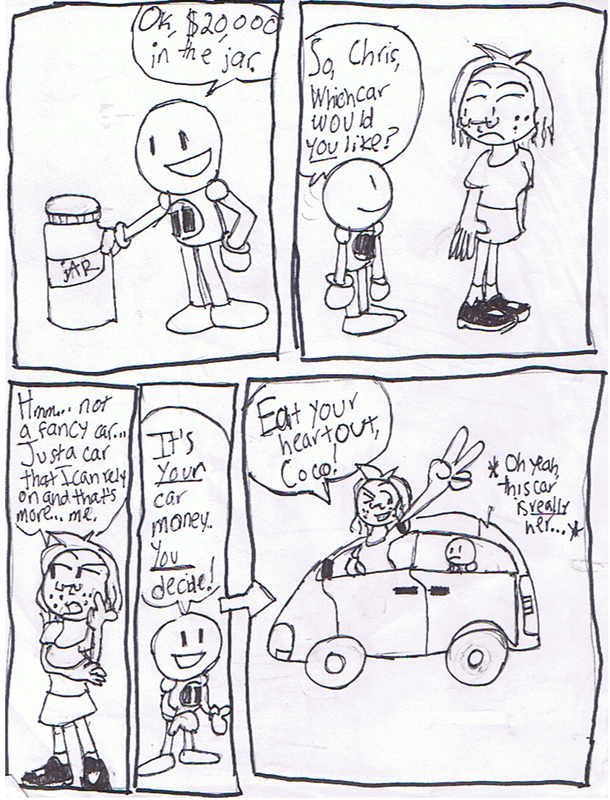 My sister outlined this comic, and she did a messy job! :D That tells me never to let someone else outline my comics unless they know how!!! Anyway, Chris-chan has her license to drive! She's been saving up money to buy her own car, but her car of choice is an utter surprise!